OK, so not everyone loves the jumping wedding picture. I only do it if the couple wants it, but many do. It's a fun way to display the joy that a newly married couple feel once they have completed their ceremony. It always brings smiles to everyone involved. Why don't some people like it? Jumping photos are seen by some as a so-called cliche shot or corny. My feeling is that it's really about what the couple wants and not what other people think. 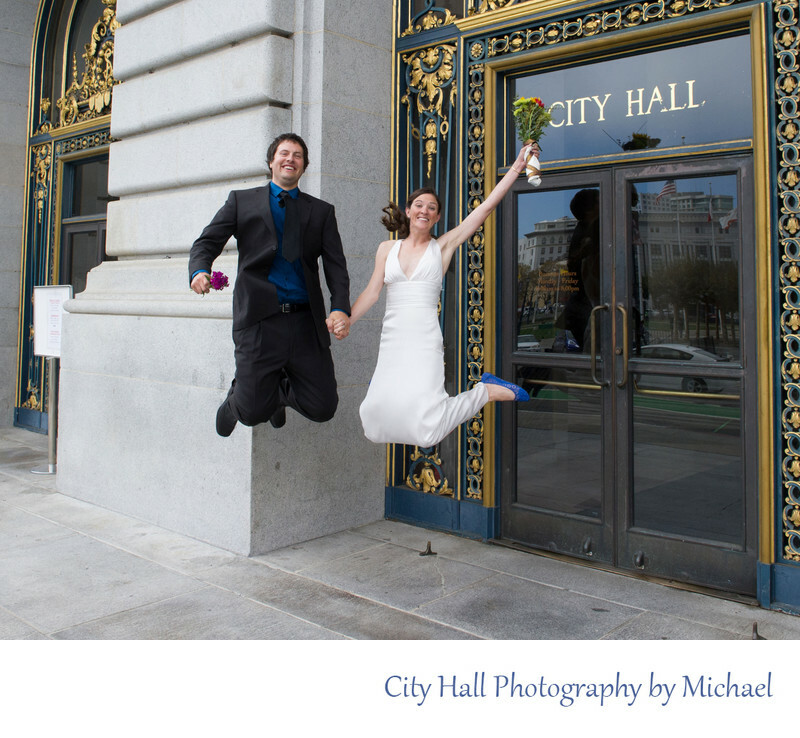 This is pretty much how we run our City Hall photography business, we focus on what our couples want and request.